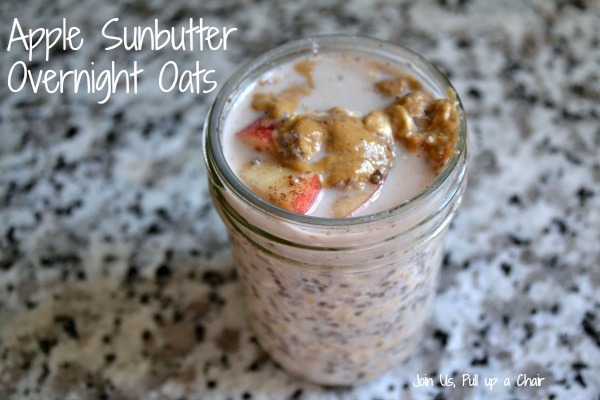 Now that summer is upon us, I’m ready to start making overnight oats again! I love them and they’re so simple and easy to throw together and grab on the way out the door in the morning…or down the stairs to my office. This version is a little different that previous ones I’ve made before, but it was a little too thin for me. I like my oats to be thicker and my husband agreed. I’m going to write the recipe as I made it but next time I make this version, I’ll substitute half of the milk for vanilla Greek yogurt to make it thicker. The sunbutter and apples were so good together. I usually dip apple slices in sunbutter, so it reminded me of that but with all the added benefits of oats, chia seeds and almond milk. YUM! In a large bowl, combine the oats and almond milk. Stir in the chia seeds, cinnamon and vanilla extract. Divide the mixture between your mason jars until they are 3/4 way full. I used pint sized mason jars and was able to fill three with a little leftover. 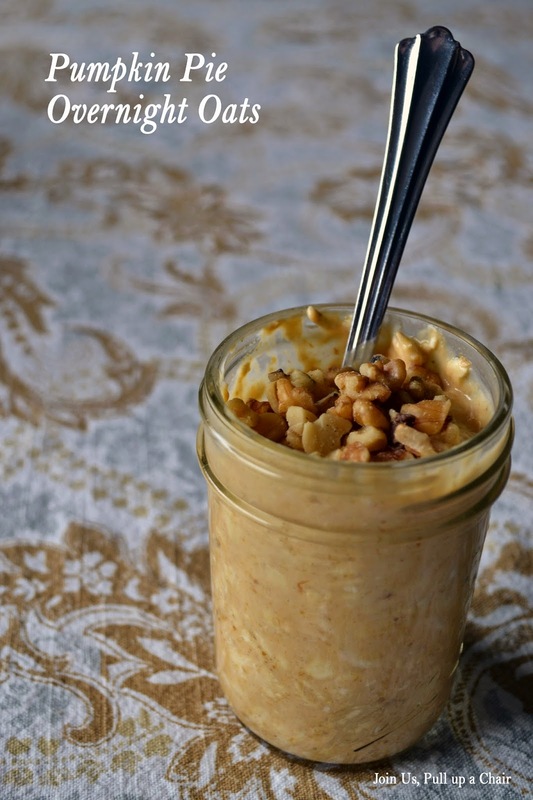 Top each jar with a some apples and a dollop of sunflower seed butter. Close with a lid and place in the refrigerator overnight. It’s the third Monday of the month and that means…Secret Recipe Club reveals! This month my assignment was Loving Life. Kirstin is a mom to 2 gorgeous girls that she home schools. She lives in the Pacific Northwest with her daughter and husband and she blogs about their home renovations to family recipes. I had a hard time picking a recipe this month. I was considering her Blueberry Chia Seed Jam or Hot Crab Dip, but settled on her recipe for Energy Bites. I’ve been wanting to make these for a while and thought it was the perfect time especially since my daughter had a lacrosse play day this weekend. These bites were really good, though I had a hard time getting to them to stick together. I’m not sure if it was because I substituted the almond butter with sunflower seed butter. Regardless, it came out tasty and I’ll just scoop out a bite to eat on a spoon. I’m definitely going to try making them again and sticking to Kirstin’s recipe to see what the difference might have been. My daughter loved them and it was the perfect pick me up between her games. In a medium bowl, mix together all the ingredients until well combined. Refrigerate for at least 15 minutes to allow the mixture to chill and be easier to work with. Using a cookie scoop, scoop out balls and place on a parchment lined baking sheet. Place back in the refrigerator to chill for another 15 minutes and then store them in an air tight container in the refrigerator. 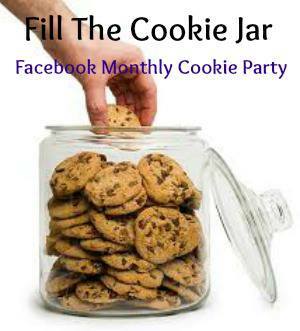 I’m excited for this month’s Fill the Cookie Jar reveal! This month’s theme was Fall and it gave me so many options to choose from. My sister in law gave me a copy of The Beekman 1802 Heirloom Dessert Cookbook and I knew it was a great place to start looking for a recipe. The cookbook is broken down into the four seasons, so I went right to the fall section and found this recipe for oatmeal cream pies. 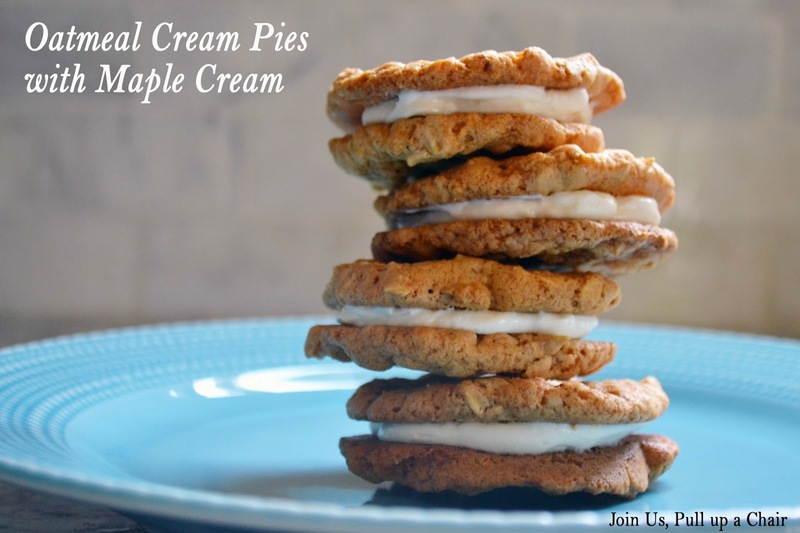 As a child I loved Little Debbie’s oatmeal cream pies, but have never made a homemade version. These are so much better than them! I called them a grown up version. 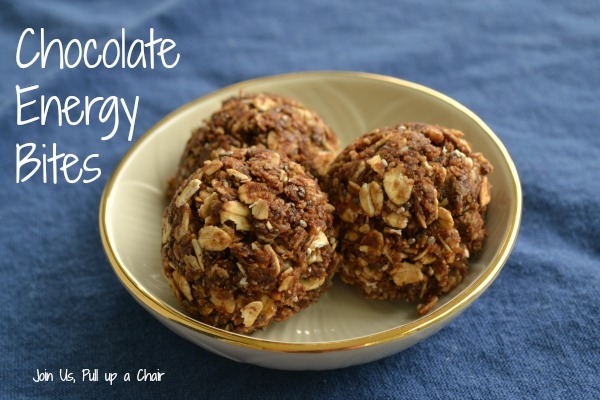 They had the perfect amount of spice and toasting the oats brings out an amazing nutty flavor. The original recipe called for a ginger cream but I knew finding crystallized ginger would be difficult, so I substituted maple syrup instead. 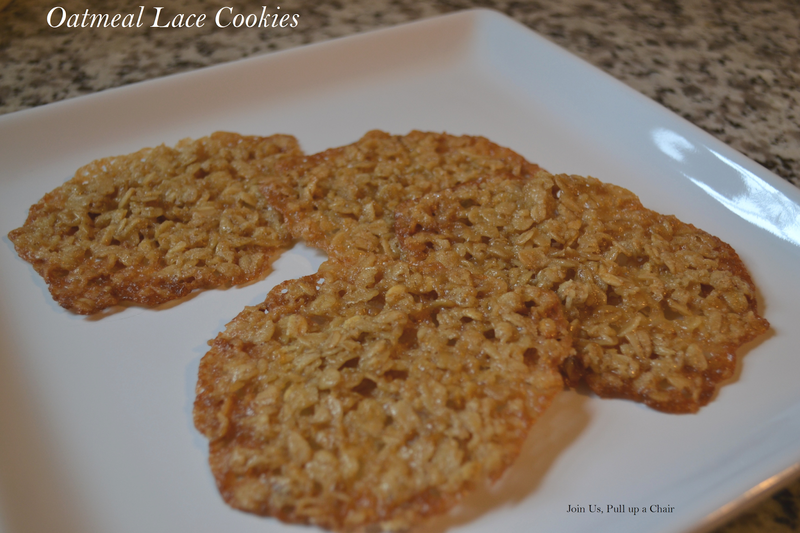 The cookies are crisp, but I had put the cookies in the fridge due to the heat and humidity and they softened up. That’s what I loved about them and really reminded me of my childhood. Preheat oven to 350 degrees. Line two baking sheets with parchment papers and set aside. On a separate baking sheet, spread out the oats. Place on the baking sheet on the upper rack and make for 10 minutes until lightly browned and fragrant. Remove from the oven and allow to cool. Keep the oven on to make sure it’s preheated to bake the cookies. In a small bowl, combine the flour, baking powder, baking soda and spices. In the bowl of a stand mixer, cream together the butter and both sugars until light and fluffy. Add in the egg. Slowly add in the flour mixture until just combined. Stir in the toasted oats by hand. Scoop the batter into two tablespoon sized balls and place them two inches apart on the baking sheet. With dampened hands, flatten each to 1/2 inch thick. Bake for 12 to 13 minutes until they were lightly browned and then remove and allow to cool 5 minutes on the baking sheets. Transfer to a wire rack to completely cool. While the cookies are cooling, beat the cream cheese with confectioners sugar until smooth. Add in the maple syrup until combined. Spread the filling onto half of the cookies and then top with the remaining cookies.